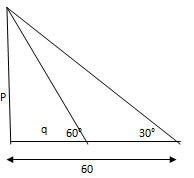 Trigonometric ratios are defined for a right angled triangle. Cosecant, Secant and cotangent are the reciprocal of the Sine, cosine and tangent. The definitions of the trigonometric functions are given below. Example1: tan θ = 12⁄5 Find cos θ?